Frans Hals was a Dutch painter from the 17th century. Many art historians group him together with the school of Mannerism, which developed in the Italian Renaissance of the 16th century. Hals was a part of what is called the “Northern Renaissance.” Some mannerist works of art are not simply realistic; many of them are symbolic and allegorical. And, as many art historians note, Mannerism was transformed into Baroque art. One of the elements that remains in this transformation is the allegorical. Hals’s work is often Realistic, but it often errs on the side of the allegorical. This allegorical dimension, however, is subtle. It’s not obvious. In fact, Hals work demands the viewer to pay close attention to subtle gestures, gazes, and movements within the frame (which oftentimes gesture to something hidden and obscure outside of the frame). The allusions they make suggest multiple meanings. Hals is well known for his portraits of doctors, aristocrats, and leaders, but he is less known for his portraits of children, fools, and musicians. Going through many of these paintings, I found that Hals was more fascinated with the gestures of simple people than with aristocrats. Their gestures are the most suggestive and allegorical; these representations suggest a way of seeing that is based on allusion and movement. To illustrate the contrast between his representations of aristocrats and simple folk, I’d like to first take a look at his most famous portrait; namely, of Rene Descartes. After doing this, I’d like to contrast this portrait to the portraits of a fool, a child, and a two child musicians. In the portraits of many aristocrats and leaders, Hals portrays his subjects in the most serious ways. Their gestures are simple, their bodies are rigid, and their gazes are focused. They are in “possession of themselves.” They are men whose bodies are subject to their reasoning and to civility. 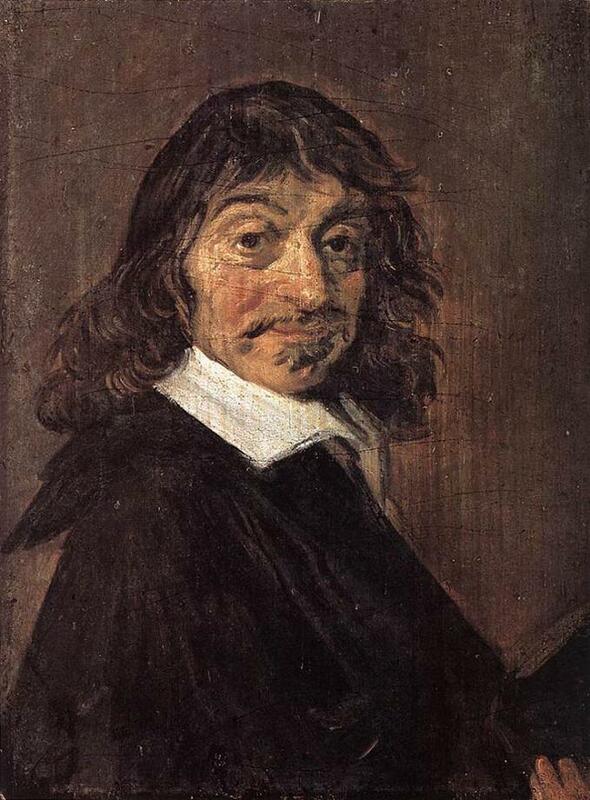 Like those portraits, this portrait of Rene Descartes is of a man who is self-possessed. The subject looks directly at the viewer with a knowing look. However, the most interesting aspect of this painting is Descartes mouth. We are not sure if he is smiling or if he is indifferent. This ambiguous gesture of the father of Modern Philosophy is rich in implication. It suggests that he is friendly and a part of humanity; on the other hand, it suggests that he is indifferent to – and perhaps even fed up with – humanity. Perhaps he would rather be thinking than sitting in front of Frans Hals. After all, Descartes regarded the imagination as inferior to the intellect and associated it with the body and not the mind. In contrast to this painting of Descartes, the gestural representations of fools, children, and children musicians are much more subtle and suggestive. I will take a look at a few to bring out this contrast. 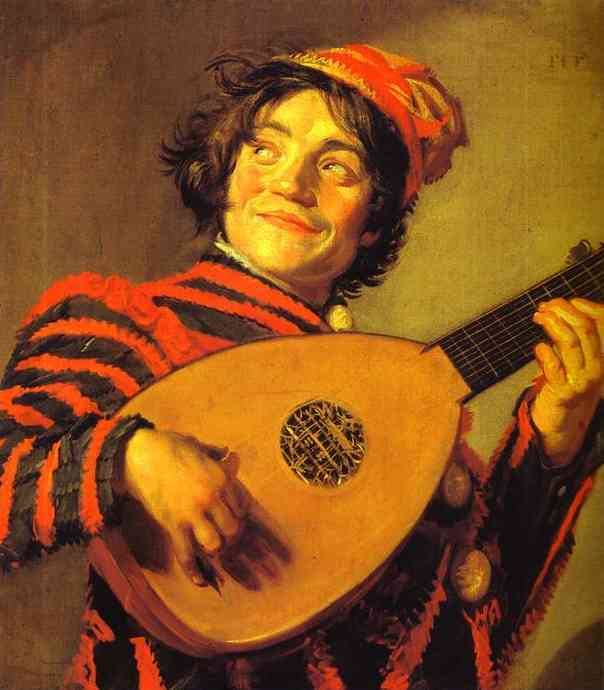 When I was looking for a photo to append to my blog post on Charles Baudelaire’s “A Heroic Death” (which pits a fool against the Prince), I chose Frans Hals painting which the Louvre website calls a “Buffoon With a Lute.” I found that it nicely illustrated the allure of the fool (and his gambol with death) to which the narrator of the Baudelaire prose piece was drawn. The Louvre, which owns this painting, estimates that it was made somewhere between 1623 and 1625. I am struck by look and gesture of the Buffoon. His head is tilted to the side and he is looking askance at something we can’t see. His smile is also tilted. To add to the contrasts, one will notice that his hair is longer on one side and shorter on the other. The tilting of all these features complicates our reading of the Buffoon. To be sure, its hard to tell whether he is happy or wary of what he is doing and who he is playing for. I see this, specifically, in his smile. The fact that it is pulled up on the edge suggests that something is odd. In fact, I couldn’t help but sense that in the midst of his apparent joy there may be a feeling of terror. It seems as if the Buffoon is about to be killed or punished; but to mitigate the threat, he plays on and smiles toward the person (or people) outside the frame. He is tactful. This gesture is complicated by the fact that this is not simply an absent-minded fool who lacks any sense of the world outside of him. He is innocent, a boy, and yet, he is a man facing something we can’t see, something outside the frame. His smile is cunning and responds to something real; unlike Descartes smile which seems to detest the real or only to deal with it as a matter of course. Since it deals with possible terror and is riddled with anxiety, this painting is more existential than the Descartes portrait, which is more about an intellectual attitude toward the world. The buffoon’s face connotes subtlety, but his hands and the instrument connote neutrality. They are –so to speak – doing their own thing. It is as if his body, in a Cartesian sense, is on auto-pilot while his soul is caught between fear and joy. 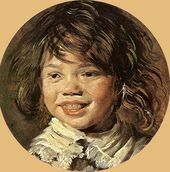 In this portrait of a child, the child is smiling, happy, and innocent. He is present to the painter. Unlike the portraits of Descartes and the Buffoon, the child is not judging the world or dealing with it in a tactful manner. 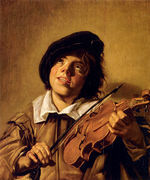 In contrast to this portrait is the painting of a “child playing the violin.” In this portrait, the subject is not present to the painter or viewer. He is absent-minded. His head is tilted, but his eyes look heavenward as he plays the violin. This contrasts greatly to the Buffoon whose eyes look to the side and smile is twisted. It also contrasts to the Descartes portrait since he, at the very least, is giving some attention to the painter (though perhaps against his ‘real’ interests). This portrait is haunting in the sense that it seems as if he is about to put down the fiddle and ascend to heaven. The music, perhaps, is detaching him from the world. Perhaps he, unlike the Bufoon with the Lute, is the true fool. His gestures denote a total disregard for the eye looking upon him. Perhaps he is truly free of the gaze and the world. The portrait of the “boy holding the flute” is very odd. 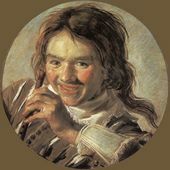 Like the other paintings of musicians, he is also tilting his head and smiling. But in this portrait, he is looking directly at the viewer. Juxtaposed to the other paintings, the viewer is no longer thinking about who he or she is looking at or what the subject may be thinking as he plays music. In this painting, the musician has stopped playing. He looks directly at you. There is something odd about this gaze. It acknowledges the gaze but responds to it in a way that is awkward. Its as if he has missed a social cue or two. Moreover, the flute he holds interrupts his smile. And this creates a kind of confusion in the viewer. To be sure, his smile is not perfect. It, too, is a bit askance. And the fact that he is a child doesn’t mitigate the sense of madness that this portrait conveys by way of subtle gestures. What interests me most in these portraits is how Hals articulates the subtlety of gesture and its relationship to the world. As we have seen, from Descartes to the boy with the flute, Hals was interested in the different ways his subjects regarded the world. The difference between the Philosopher and the Bufoon, the child, and child musicians is telling. The question I have is what value do these gestures have for Hals. Did he have more respect for his aristocratic subjects or for his folkish and childish subjects? Did he value the theoretical bearing of Descartes more than the tactical bearing of the Bufoon or vice-versa? These questions are relevant since I will be looking into the meaning of gesture in Walter Benjamin in forthcoming blog entries. For a painter like Hals and for a thinker like Benjamin, the gesture and its performance tell us a lot of things about the nature of what it means to have a relationship with the world. Benjamin, in his readings of Kafka, was interested in characters who (as schlemiels) had an odd relationship with the world. He focused on their gestures so as to convey (or even teach) this attentiveness to his readers. Like Hals, Benjamin does not evaluate these gestures so much as pay attention to them so as to understand their relationality. So, to be sure, I’d like you to consider this blog entry a ‘warm up’ to the reading of gesture that I will be pursuing in the near future. In our culture, comedians are cultural icons and, from time to time, they even come to influence public opinion. Most recently, for instance, Jon Stewart’s parody of Egyptian President Mursi and the jailing of a comedian reached Mursi and caused a stir. Sara Silverman, Bill Maher, and Stephen Colbert have also looked to use comedy to influence politics. This trend, in fact, goes back to the Enlightenment where Satire was used quite often to influence public opinion and shape political debate. As Leo Strauss, Peter Gay, and others have pointed out, satire (of the Enlightenment variety) errs on the side of the secular. It has nothing holy about it. Charles Baudelaire, however, had a different understanding of comedy and its relation to power. 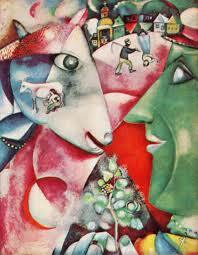 Rather than put Satire into a conflictual relationship with power, he put the fool in such a relationship. We see this best in his prose piece, “A Heroic Death.” In his prose piece, Baudelaire puts the fool in a battle with power. To say that this battle is cosmic would not be an understatement. To be sure, if one were to take the time to read his journals in tandem with his poetry and prose, one would see that Baudelaire was always looking to evoke and think through the conflict between the sacred and the profane. More importantly, Baudelaire saw this conflict best pronounced in the fool and by way of irony. “A Heroic Death” shows us that the tension between art (and for Baudeliare, as for Kierkegaard and Schlegel, comedy was the quintessence of art) and power was one of his greatest preoccupations. We would be amiss if we were to think that Walter Benjamin, in his studies of Baudelaire, had simply missed this. To be sure, the tension between comedy and power is something that Benjamin thought about – particularly, in his work on Kafka – right up to his untimely death. By way of a close reading of Baudelaire’s prose piece, I hope to show what is at stake in the tension between comedy (art) and power. Moreover, I hope to show how Baudelaire took this tension and its outcome personally. I’d like to suggest that we also take it personally since, as the prose piece shows, it hits directly on the modern condition that we are all-to-familiar with, a condition that Baudelaire constantly addressed. Baudelaire begins his prose piece by noting that Fancioulle, “an admirable buffoon and almost like one of the Prince’s friends,” got involved with a “conspiracy” with “certain discontented nobles in the court” to overthrow the Prince. The narrator, waxing philosophical, observes that “for men whose profession is to be funny, serious things have a fatal attraction.” In other words, the narrator believes that comedy may likelly lead the fool to politics and thus fatality. This observation, and the opening plot of the story, suggest that politics and comedy are strange bedfellows. When they collide, there will be a life and death battle. “A Heroic Death” illustrates this. But after saying this, the narrator pauses to consider the Prince and his reaction to learning that Fancioulle was a part of the plot. In this pause, we learn about what kind of person the Prince is. To be sure, the Prince was so cruel in his pursuit of pleasure that he was “indifferent enough in regard to men and morals.” Setting up the battle that will ensue between the Prince and the fool, the narrator calls the Prince “a real artist.” This suggests that the consumer of art, who will bypass morality and humanity to be entertained, is a “real artist.” This ironic statement should be disturbing. First of all, the Prince doesn’t produce art he consumes it. 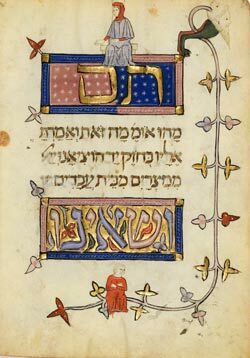 How, then, could he be called an artist (a person who “makes things” – a technes in Greek)? More importantly, the narrator tells us that a “real artist” is deemed to be someone who disregards morality and humanity. This means that the “real artist” has no interest in helping or in inspiring humanity to pursue justice. This artist is not interested in art for art’s sake so much as consumption for the sake of ending or at least differing Boredom. When the narrator points out that the Prince’s most “dreaded” enemy is Boredom, the reader may realize that he or she has a lot in common with the Prince. In fact, like us, the Prince would go “to extravagant efforts to vanquish or outwit this tyrant of the world.” These efforts would win the prince the “epithet of ‘monster’” if, in fact, anyone in the Kingdom were allowed to write what they really thought about him and his ways. The narrator, in a sarcastic manner, notes that the “misfortune of the Prince was in not having a stage vast enough for his own genius.” This genius is, obviously, Satanic. And a vaster stage would mean the world. This discloses the desire of the Prince: to turn the world into a reality TV show of sorts – a laboratory for his perpetual amusement. It was infinitely more probable that the Prince wanted to test the value of the histrionic talent of a man condemned to die. He wanted to profit by this occasion to make a physiological experiment of a capital interest, to find out to what extent an artist’s faculties might be challenged or modified as extraordinary as this. The narrator muses to himself as to whether or not the Prince had a “more or less definite idea of mercy”; this, he says, “is a point that has never been clarified.” This musing hits on the question of good and evil. With the Prince, this remains a question. However, the fool, for the narrator, is different. When people say of the actor: ‘What a good actor,’ they are using an expression which implies that beneath the character they can still distinguish the actor, that is to say, art, effort, volition. But if an actor should succeed in being, in relation to the part he played, what the best statues of antiquity, if miraculously animated they lived, walked and saw, would be in relation to the confused idea of beauty, that would indeed by a singular case and altogether unheard of. The buffoon came and went, laughed and wept, and lashed into fury, with always about his head an imperishable aureole, invisible to all, but visible to me, that blended in a strange amalgam the beams of Art and the glory of Martyrdom. Fancioulle proved to me in the most preemptory, the most irrefutable way, that the intoxication of Art is more apt than any other to veil the terrors of the eternal abyss. The narrator notices, in the midst of this, how the Prince whispers to one of his pages and, within a few moments, a “shrill prolonged hiss” is heard. Upon hearing this hiss, the fool is awakened from his dream, shocked, and his performance ends, literally, with his death. However, the narrator and the attentive reader will realize that regardless of this “sweet” thought, the fool lost the battle and the Real Artist is the Prince. Baudelaire’s mediation on art is melancholic and autobiographical. This prose piece is, in many ways, an Oracle of sorts. It teaches us that he believed that if comedy is put in a battle with Power and politics, power and Entertainment will win. Reflecting on ourselves, can we say that reality television and its cruel battle with boredom have displaced the art of the “Real Artist”? Each and every one of us, it seems, is the Prince. And, like him, we will go to any lengths to be entertained and destroy our worst enemy, Boredom. And, as Reality Television makes clearly evident, all of humanity, the world , is our laboratory. Nonetheless, the merit of the fool is to give the narrator “evidence” that comedy can be revelatory. He witnessed this possibility, but he also witnessed its end. Will we ever see a fool like Fancioulle? Can we hope for a religious and revelatory kind of comedy? Can we say that the schlemiel is such a holy fool or is there a distinct difference between Baudelaire’s fool and the Jewish fool? 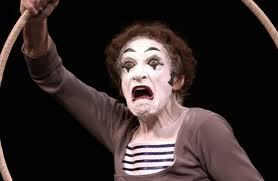 Did Baudelaire’s holy fool die “a heroic death” or was he murdered for the sake of Amusement (or jealousy)? Perhaps Baudelaire was saying that the holy fool (not Satire) should steer clear of the political, for if it does not it will find a similar fate. Like Fancioulle, entertainment and power will win and the holy fool (artist) will lose. The narrator’s sad tone, implies that boredom and the will-to-entertainment are too powerful. They cannot be defeated. Or so it seems. After all, he did have the evidence of the Holy Fool. But he also saw that Holy Fool murdered. Nonetheless, he says, it would be “sweet” to think that the Prince was merciful on the fool. Indeed, it would be “sweet” but its not. In the end, the real and the ideal remain separate. And why? Because the Prince, who loves nothing more than to kill Boredom, killed the Fool. He killed someone who, as the narrator says in the beginning, may have been his friend. To be distracted and become absent minded, is so to speak the condition of the possibility of the schlemiel. Walter Benjamin knew this lesson very well. He learned if from Kafka, who learned it from Sancho Panza and Don Quixote. In other words, Benjamin, like Sancho Panza, literally spent the “end of his days” following around a schlemiel named Franz Kafka. And in this, he became very distracted and absent-minded himself. After all, a reflection without penetration is the manner of the schlemiel. 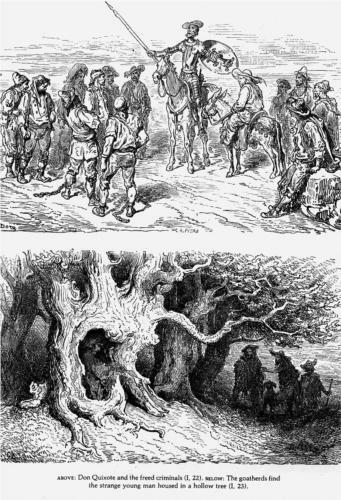 And in response to it, one will either die laughing or “come laughing.” Benjamin, near the end of his life, imitated the ways of Sancho Panza who imitated the ways of Don Quixote (a fool). Indeed, that is the ethical question of the schlemiel. And this is the question I have been asking in the last two blog entries. Benjamin was the first to reflect on it. And while Derrida is on to the tragic or comic manner of the schlemiel, unlike Benjamin, he does not pose this ethical question (at least not in his language phase). Benjamin does. Benjamin wonders whether the attention given to learning the wisdom of the fool, the manner of the schlemiel, can do humanity any good. The same question applies to the ways of deconstruction and to learning the manner of the foolish (schlemiel) text. If such a way of reading of the text doesn’t do humanity any good, will it be rejected? And in the name of what? The politician? The philosopher? 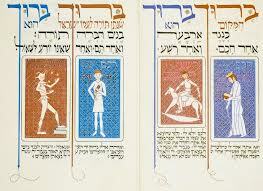 How, Benjamin queries to Gershom Scholem, could they help? The only one who “can help is the fool.” As Benjamin says in the same letter to Scholem, perhaps the only wisdom “is the wisdom of the fool.” But, perhaps, as Kafka suggests, Benjamin was wrong. Perhaps it isn’t wisdom that Sancho Panza gleans from the fool so much as entertainment (which Sancho Panza, a philosopher of sorts, enjoys until he dies…laughing). But, then again, Kafka muses that he may have followed him out of a sense of responsibility. This would imply that following the schlemiel is an ethical act of sorts. So…which is it? Ethics or entertainment? Both? Let’s ask again: Will the wisdom of the fool, of Don Quixote, the schlemiel, do humanity any good? On this blog, it is imperative that we pronounce this question in different ways. It’s inescapable. This question emerges out of an endless reflection on the “reflection without penetration.” It emerges out of paying very close attention to the “manner” of the schlemiel. 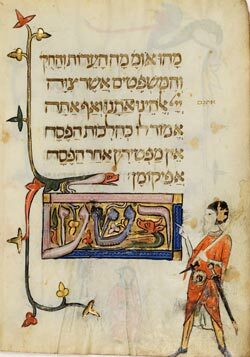 Paraphrasing Paul Celan, who paraphrases Walter Benjamin, who paraphrases Malbranche: attention (to the schlemiel) is the silent prayer of the soul. 1) Can the attention that Sancho Panza (Walter Benjamin or Jacques Derrida) gives to Don Quixote (Franz Kafka or the Foolish Text) and his foolish ways do humanity any good? 2) What can we learn from the examples of Sancho Panza and Walter Benjamin? Did they seriously imitate their schlemiel teachers or did they laugh at them and themselves for imitating them? Zero Mostel z”l (1915-1977), in this brilliant segment from a 1977 episode of the Muppet Show, laughs at the Horror genre (or I would argue, getting spooked by crisis theory). What better example do we have of the laugh that laughs at the (satanic) laugh (or smile)? Zero Mostel was one of the greatest stars in the history of Yiddish theater and performance! He moved hundreds of thousands of people to laughter and tears. 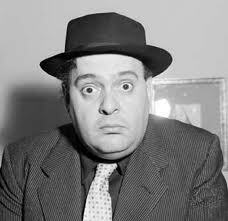 Mostel was certainly a (perhaps ‘the’?) King of Comedy. He was a real schlemiel whose performances show us how impassioned physical comedy – though caught up in schlemiel dreams – can trump fantasies of terror and catastrophe. The fantasies he plays with are the fantasies of fear, terror, and transgression; the fantasies that Baudelaire and Poe found so titillating. By performing 1,001 terrors, filtered through all his “wide eyed” gestures, Mostel caricatures horror, fear, and spirit possession in a matter of minutes. Instead of tricking us into being horrified, as Baudelaire believed the “Absolute Comic” should, Mostel tricks horror into being ridiculous. And he does it in the best place one can to placate horror with comedy: The Muppet Show. Horror is equivalent to formless Muppet dolls attacking Zero Mostel and driving him Mad. Does Zero Mostel tear us from fear? Does he defeat it? Or do Edgar Allen Poe and Charles Baudelaire have the last word?